One of the most important details when moving to Queensbury, HA3 is figuring out how you're going to go about it. A removal should be planned and prepared in advance, and there is a variety of options available to you. You could go ahead and hire a moving company, a man with van service, or just cut out the middle-man entirely and hire a van yourself. They all have their advantages, and each could make your removal to Queensbury a simple and memorable one for good reasons. The most important step to take though, is hiring a removal company that takes the process seriously. We at Moving Service play that role perfectly. Here, we offer a wide variety of services, and can provide you with the above mentioned services at a competitive price. If you want the simplicity of a standard removal service, we'll provide you with one of the best in HA3 area. If you prefer a more affordable man and van service for your smaller move to HA7 area, that is no problem either. And if you're moving solo and want everything to be on your own terms, we can also provide van hire as well. All these services are all available on 020 8746 4402, so give us a call today. So What is Queensbury all About? It is an area in North London mostly in the London borough of Harrow, and partly in the borough of Brent. It is a part of multiple post code areas: the HA3, HA7 and the HA8, and neighbours the district of Kingsbury.The Queensbury tube station is the public transport centre of this area, and provides London Underground tube services on the Jubilee line. This means that Queensbury is connected to Wembley Park, Waterloo and Westminister stations among others.The area started off as just a tube station, but has grown as a separate area. Around this station is a parade of shops and places of residence, along with a public green space near the centre. This mixture of transportation and shopping facilities is what makes it such an enticing place to live. Other shopping places in the area include the Queensbury Circle Parade. 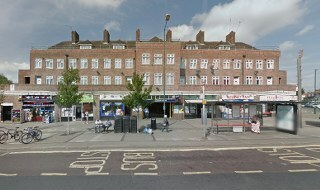 It's located to the north west of the aforementioned tube station, and is a small shopping area centred around a round-a-bout. There is a lot to do and plenty to see in the area. There Are a Lot of Options Available with Our Moving Services in Queensbury! 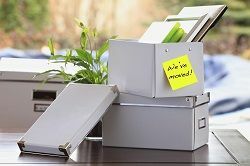 Having looked at the different removal services that are available with us, which one do you think is right for you? Well it is very simple, all you have to do is break the process down, and see which one suits your needs. A standard, professional removal service in Queensbury, HA3 works best if you want absolute security, and a large team. For family moves, this one can't be beaten. A man with van service around Queensbury is better suited for those wanting to move on a budget, so if you're making a small move like a student removal, this is a great option for you. Finally, there's the option to hire your own removal van in HA7, which is only recommended for those who are willing to take the whole move on themselves. So whichever type of relocation you're thinking of making, get in touch with Moving Service today. We'll help make your relocation to HA8 area a simple one, and will keep all of the removal stress under control. For more information regarding our services, call us on 020 8746 4402. Our helpful call centre staff is always happy to answer your questions.